Family isn't just important. It's everything. From lions hunting as a pride to penguins huddling together to keep from freezing in the bitter Antarctic winter, many animals are dependent on complex social relationships for their survival. Powerful dynasties lay claim to vast swathes of territory, fighting off rivals and securing their hunting grounds for generations to come. Dynasties offers an immersive insight into the shifting hierarchies of animal families. Each chapter follows a different dynasty, from the Marsh Lions of the Masai Mara to rival packs of painted wolves, from a tiger protecting her newborn cubs to a chimpanzee troop and the penguin colonies of the Antarctic. Alongside tender moments when bonds are strengthened through grooming and play, the book charts the rivalries that tip the balance of power, when family members turn against each other and younger animals grow strong enough to challenge for control. 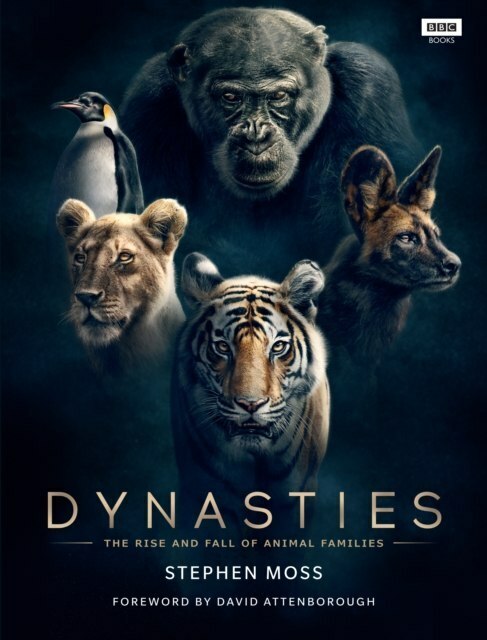 With over 200 stunning photographs and insights from the crew of the BBC series, Dynasties reveals in astonishing detail the intricate social lives of our planet's most fascinating animals.